The Comox Valley and region are facing tough choices, to ensure that we are dealing with our sewage disposal in a safe and affordable way. Two parts of the puzzle which have recently come to light reveal that there is little consensus on how to move ahead, which could pose significant problems down the pipe line. Presently, Courtenay and Comox’s sewage passes through the main Courtenay #1 pump station, which is on industrially zoned land adjacent to the old Field Sawmill site, on the estuary. A buried pipe snakes east along the shoreline to the Jane Place pumping station, back along the shoreline to Goose Spit, then past the Willemar bluffs to a treatment plant- Comox Valley water pollution control centre (CVWPCC) at Cape Lazo, where waste is treated and released into the ocean. There are several problems with this set-up. Most urgent is the pipeline on the foreshore in front of Willemar Bluffs. The Willemar sewage pipe line was ill-conceived from the start, placed where strong tidal waters generate lots of wear and tear, creating fears of possible rupture. The line also probably exacerbated erosion of the bluffs, causing property owners to lose oceanfront real estate at an alarming rate. Gabion baskets -steel cages filled with rock- were put in place, which helped, but this was only a temporary measure. In 2005 the CVRD completed a study which recommended replacing the Willemar forcemain with a new line overland, and the construction of a new pump station in the Croteau Road area. A big advantage of the current system following the shoreline, is that there is hardly any rise of elevation, which allows only two 200 horsepower pumps (plus one reserve) to run in the main Courtenay station. To reach the treatment plant overland requires going uphill. 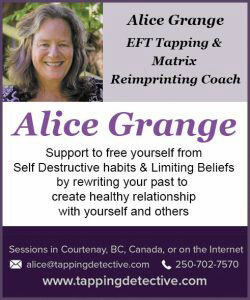 One way to do that is to increase the capacity of the Courtenay main station. Another is to build a new pumping station. In December of 2014 the Regional District purchased a property on Beech Street in the Croteau neighbourhood on which to build the pumping station for the new overland route, but as a result of strong local opposition based on concerns about wells and aquifer protection they decided to try again. In early 2015 the RD sewage commission set up an advisory committee which included three residents of the Croteau neighburhood, to select another site for the new pump station. Among the choices they considered was an upgrade to the current Courtenay station and Jane Place pumping station, and replacing the existing force main with a new overland route. Although this option came out on top in a variety of criteria, because of its higher initial cost, at a September 15 meeting, the sewage commission approved another site- the Croteau Road right of way, which connects Macdonald Wood Park with the beach. Macdonald Wood is a 9 acre labour of love- it took the combined efforts of many to preserve the piece of land as a dedicated parkland. In addition to second growth forest, it has unusually rich archaeological significance and First Nations history, as well as rare environmental value- with some of the best preserved marshlands in the estuary. Citizens worked hard for years with several levels of government to secure the property. At one point, as the Regional District’s $500,000 share in the purchase price evaporated, private individuals took out second mortgages on their homes to raise the amount , while neighbours pitched in to help them out. It is a truly successful community effort which stands as a model for such endeavours as the Cumberland Community Forest Society. Understandably, anything which threatens the integrity of the park is strongly resisted. The right-of-way at the end of Croteau Road where the pump station is intended connects the woods with the shoreline and beach, and is the only practical way of doing so- any other route would disturb the midden, or sensitive habitat. The trail on the right of way is heavily used for recreation, and boats are wheeled through for launching into the ocean. The park covenant prohibits any trail building through the salt marsh and midden. The only way to connect the trails to the foreshore is the current beach access. A 2011 survey indicated it was one of the four most popular beach accesses in the Valley. The proposed pump station would certainly block much of the right of way- it is questionable how much room would be left for a path for pedestrians and boats. The right of way is half owned by the Town of Comox and the other half by the Ministry of Transportation and Infrastructure. There are strong covenants on the adjoining lands, including prohibiting cutting down trees in the park, or disturbing the midden. So- parts of the right of way may not be available for construction purposes, and what is left may not be wide enough for a trail. Some observers predict that it may not be easy at all for the RD to obtain the necessary rezoning to build on the site. The process of approval includes public consultation, and there is no question that many people oppose the plan. Residents have many more problems with the proposal. Brad Dillen points out that the construction process could take upwards of twenty months, and securing the site during construction would mean that no one could use the path- not hikers or boaters, for almost two years. As a homeowner on a nearby street which would be cut off during this time, Dillen worries what would happen if there was a fire at his or nearby houses, and equipment could not get through. An expert in large scale construction projects, Dillen says the site is simply too small and inconvenient to do the job safely without having a huge permanent impact on the neighbouring park- “Where will you store the equipment overnight?” he asks about the compact site. Also, the site’s elevation, next to the ocean, is low, which means the wells holding the effluent cannot be submerged in the ground, which increases the risk of noise pollution. While the main Courtenay pump station has three 200 HP motors, it is estimated that the Croteau pump station will require three motors of 350 to 475HP each. For the residents of Croteau, there are serious issues of governance and process. It is some kind of paradox that the Regional District operates sewerage services for the City of Courtney and Town of Comox, and the military base. Somehow, though, there is no representation on the sewage commission for any of the residents of the Regional District, including Area B, where the proposed pumping station and the treatment plant is located. Residents feel that sewage commissioners have acted solely on behalf of their own constituencies in Courtenay and especially Comox, ignoring their concerns. So- yes- the residents of Croteau do not want a sewage pumping station in their back yard. Instead, they offer an analysis which points to other possible solutions that are no longer on the table, and perhaps should be. Brad Dillen, Anne Gardner, David Battle and Lorraine Aitken are residents of Croteau who have studied the situation, and think they have a better solution than building a pump station in their neighbourhood. The Croteau pump station will tie in to the existing shoreline force main from the Courtenay pump station- that is its job- but what if that route has to change? We as a society are becoming more serious about environmental protection, about preserving aquaculture, respecting First Nations’ history. The fact that our main sewage line goes along the foreshore of our busy estuary may become less acceptable. The current plan is that the main pump and shoreline pipe will be replaced in ten to fifteen years. Will that be possible? If not, then the Croteau station would be useless, and a waste of money. Ann Gardiner and others say- examine this question now- see if the foreshore is still acceptable, and if not, find another option. The Courtenay pump station right now is working at or beyond capacity. At certain times of the year, during heavy floods, it has almost failed. The shutdown of our primary sewage pump station is not a pleasant prospect. Also, it seems that one of the reasons Courtenay may be delaying the issuance of building permits is because of the sewage pumping station. Why is upgrading the Courteny pump station not being discussed? The Courtenay pump upgrade was one of the options considered by the recent advisory committee. In fact it came out as the preferred choice. Among other advantages, it is already zoned industrial. Upgrading the Courtenay station would mean there would not have to be any new pump station, which would save construction costs, as well as around $60,000 a year in overhead. The difficulty is that it would also require replacing the foreshore pipeline, to cope with the increased pressure. With a decade and more of service left, there is a reluctance to replace these utilities. But let’s look at the money. Marc Rutten, the Regional District’s General Manager of Engineering, said in a letter to David Battle that to upgrade the Courtenay station and build a forcemain from it overland to the treatment facility, would cost $11.3 million more than to just build the new pump station, with its overland connection, which would cost around eleven million. This high initial price is what sours the deal. Brad Dillen agrees with the estimate, but points out that the cost to wait, and replace the Courtenay pump station, and forcemain in 2028 will be nineteen million dollars. Add that to the eleven million for the new pump station and forcemain, and you get a combined price of around thirty million dollars. Compare that with the agreed price of replacing them today, at twenty-two million dollars, and there is a saving to the taxpayer of eight million. That, and you get a brand new overland route, unquestionably preferable to the existing foreshore. Hmm- less money, and safer. Is this not worth considering? In a 2011 Sewage Master Plan, six routes were examined, including five over land, and the current one along the foreshore. Consultants looked at economic, environmental and social factors. Mark Rutten says that the overland routes had too many installation challenges- too expensive to rip up existing roadways- in general, it would be a “major expensive headache”. So, the choice was made to not upgrade the Courtenay pump station, and keep the existing shoreline route. Maybe it is time to revisit that decision. In the meantime, we need to shore up the Willemar line while we reconsider our options. The new pumping station and forcemain would take at least three to four years to build. The sewage commission should proceed to re-armour the pipe as soon as possible, with at least some sort of temporary protection. Well-educated NIMBY troublemakers, or concerned citizens with something of value to offer? The citizens of Croteau are certainly making a stink about sewage in their neighbourhood. Perhaps we should pay attention. Meanwhile, on the south side of the bay, there is the South Sewer System controversy. This was an attempt by Cumberland, Area A of the Regional District, K’omox First Nations, Union Bay and Royston to join together on a common sewage disposal system. Some residents in Union Bay and Royston are on failing or borderline septic systems. Until recently, discussions had been under way to combine resources and develop a new treatment system. Sweetening the pot, in March of 2013, the Union of BC Municipalities awarded a $15 million grant for a new system to deal with the waste water issues in these areas, part of the federal Gas Tax funding program. The deal runs out on September 30, 2018. The Village of Cumberland supported Option A. Option B, which was chosen added five million to the cost, around $300- $400 per household, for a total extra cost for the project of around $1,200 per year per household, for at least twenty to thirty years. He continues- “The option picked by the RD was not supported by science- it was about politics and lobbying. All of the science and technicians said Option A was fine. The effluent was 100% usable, even for drinking water, and certainly other possible uses like irrigation, or generating electricity. 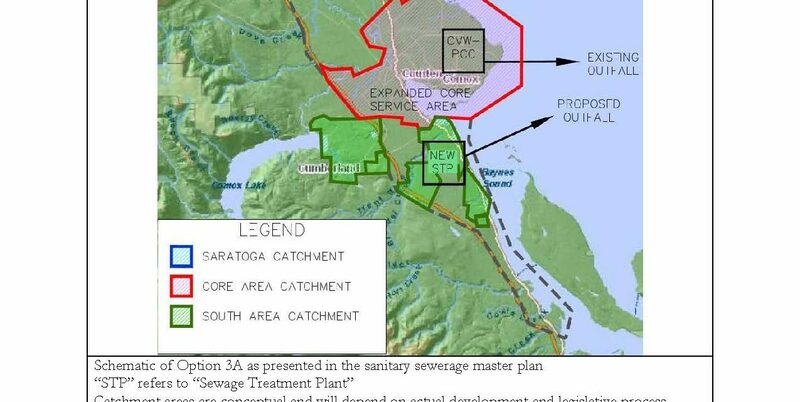 There would be places where the raw sewage line from Courtenay would share a trench next to a line with the treated effluent from the south system, flowing through Cape Lazo, directly into the Strait. The process for choosing these important, costly construction solutions relies on a blend of fact and opinion. With the sewer system, we are dealing with complexities where no solution is perfect- each option has pros and cons. The weighing of the pros and cons- cost versus aesthetics, for example, is an exercise in subjectivity by a very small group of people. Because the stakes are so high in terms of dollars, health, and lifestyle, we may occasionally need to revisit how these decisions were made.